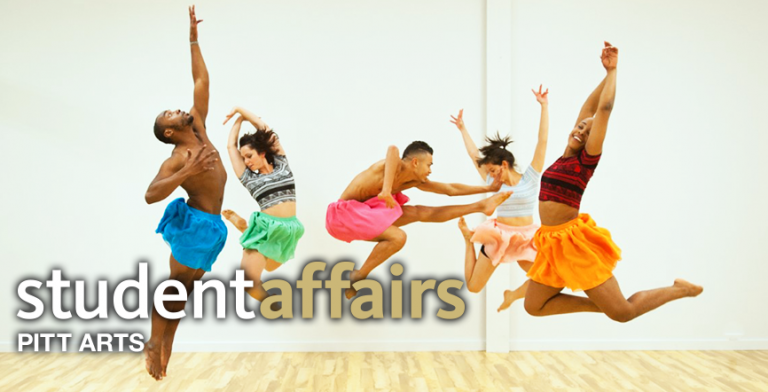 Undergraduates have the unique opportunity to attend our Arts Encounters programs. PITT ARTS brings registered, full-time, Oakland campus undergraduate students to 110 Arts Encounters a year. This includes trips to the symphony, opera, ballet, films, concerts, galleries, and the theater. We provide transportation, a catered reception, and tickets. Also, there is always a socio-educational component that offers a context for the encounter, such as e-mailed essays, discussions with artists, or hands-on workshops. Undergraduates who sign up for our e-newsletter list will receive an e-mail every Monday in which upcoming Arts Encounters are described in detail. PITT ARTS sends out a Hotlist e-mail every Wednesday that lets you know about upcoming cheap and free arts events going on every week in the city and on campus. Feel free to get involved by visiting our office at 907 William Pitt Union. Here, you can find a multitude of brochures, flyers, literature, and receive helpful information from our office staff. Remember, our goal is to get you connected! PITT ARTS sells discounted tickets to many of the area’s hottest arts organizations, including the Pittsburgh Cultural Trust, Pittsburgh Symphony Orchestra, Pittsburgh Opera, Pittsburgh Ballet Theatre, Pittsburgh Public Theater, Renaissance and Baroque, Pittsburgh CLO & CLO Cabaret, Quantum Theatre, Calliope: Pittsburgh Folk Music Society, and PICT Theatre. Come to our office to purchase really, really cheap tickets with your Pitt ID.